in front of UN in Copenhagen. The fourth demonstration is a series of demonstrations were people living in Sjælsmark Deportation Camp are mobilised to protest against the inhumane asylum system that they are forced to live in. in front of Danish Immigration Service. The second demonstration in a series of demonstrations were people living in Sjælsmark Deportation Camp are mobilised to protest against the inhumane asylum system they are forced to live in. at Bertel Thorvaldsens Plads in Copenhagen. The first demonstration in a series of demonstrations where people living in Sjælsmark Deportation Camp are mobilised to protest against the inhumane asylum system they are forced to live in. What you are about to hear is an interview with activists Napoli and La Toya who is part of the migrant struggle in Hamburg and Berlin, recorded during the 'Let Fear Go Tour' during their visits in Aalborg, Denmark. The Bridge Radio has asked the two activist about the position of migrant women in the migrant struggle - both about being in the asylum camp and being an activist. They will be sharing analysis, experiences and advice. In this program, we will be talking about deportation and detention, specifically around two deportation camps in Denmark called Kæsrhovedgård and Sjælsmark. We are very happy to bring an interview with Prof. Dr. Nikita Dhawan, were we will talk about post-colonial critic of the human rights, selective memory politics, the right to have rights and the deportation camps. First in the program, you will be hearing an interview with one of the researchers of the report 'Stop killing us slowly' Annika Lndberg and Shakira, one of the recidents in Sjælsmark, one of the two deportation camps in Denmark. The occasion for today's program is the launch of a report today the 7th of september 2018, called ‘Stop Killing Us Slowly - a research report on the motivational enhancement measures and the criminalization of rejected asylum seekers in Denmark’ - written by researchers and activist who are part of the Copenhagen-based group, freedom of movements. Prof. Dr. Nikita Dhawan is an Indian academic and Professor of Political Science (Political Theory and Gender Studies) at the University of Innsbruck. From 2009 to 2016, she was Director of the Frankfurt Research Center for Postcolonial Studies at the University of Frankfurt. Her central research areas centre around Transnational Feminism, Global Justice, Human Rights, Democracy and Decolonization. In this 3. program about the externalisation of EU border policies, we will be bringing you an interview with research at Stop Wapenhandel, Mark Akkerman. We will talk about the companies who profit from the policy of externalisation, how some achieve double-gain of the so-called refugee crises and come to establish themselves as counciling experts in EU. In second part of the program, we will talk with Reduan an activist in Ceuta, one of the Spanish enclaves on the African mainland with border to Morocco. As part of the externalisation policies of the EU, Morocco has what is called 'advanced status partnership' with Europe since 2001 which gives political advantages in trade and political affairs. The European Union accounts for more than half of Morocco’s trade and EU provides morocco with billions of Euro in aid for security and development. The border between Morocco and Spain is one of the most fortified borders of the EU and one that has served as a laboratory for EU’s policies of externalization proving inspiration for the EU-Turkey agreement for example. Redaun is part of watchthemed (an online mapping platform to monitor the deaths and violations of migrants' rights at the maritime borders of the EU) and Alarm phone (a hotline for people’s boat in distress, pushing authorities to carry out rescue missions). He also does media work around the situation in the Spanish colonies. We have asked him about his work in Ceuta and how he sees the situation there. Thanks to Daniel Cariola for the translation. In this program you will hear an interview with Martin Lemberg-Pedersen assistant professor at Aalborg University in Copenhagen about the EU politics of externalisation of borders, it's post-colonial connections and who profits. We will bring an interview with activist and critical journalist Ibrahim Diallo from Air Info and Saraha FM in Agadez, Niger about how he see the impacts of EU's externalisation policies in Agedez and the activism he does to counteract these policies. We are lucky to have Ali from Lampedusa in Hamburg to translate English/French and come with his comments based on his activist experience. In this program we will talk about deportation and detention of migrants and how this is linked to the externalisation of EU borders. You will hear an interview with Isaiah who is one of the people from Elbwangen camp who have been protesting deportations and conditions in the camp and an interview with Ung i Sverige, a group of young afghans who have been demonstrating against deportationto Afghanistan in Stockholm, Sweden. In the studio we will have the guest Susi Merete who are a Lector on migration from Aalborg university. In this program you will hear about the conference Colonial Amnesia/Koloniales Vergessen that included a memorial protest which took place 8th of April in Hamburg under the slogans 'Anything About Us With us is Against Us', 'It is Time for Justice', 'Reperation Now' and 'No Amnesty for Genocide'. The conference were about the German genocide on the Heroro and Nama people in what is now Namibia. 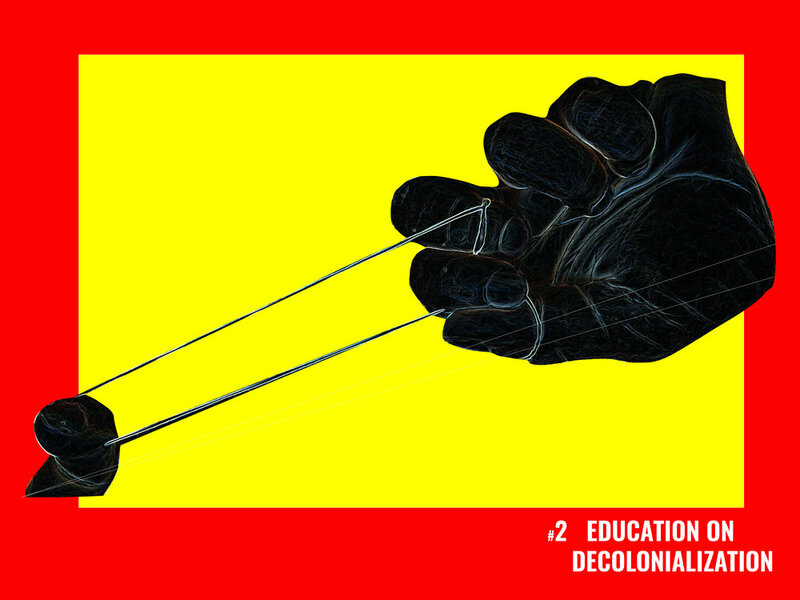 In the program we will be asking questions of how do we use the shared knowledge of the colonial past and present, to inform our current social struggles and the ways we organize between people of different privileges? We will talk about strategies of decolonising activist groups, institutions and even ourselves of the colonial mentality and structures. Guests in the program are artist and activist La Toya Manly Spain, activist Olivier Njeck from Black Media Group Hamburg as well as activists and organisers of the conference 'Kolonial Vergessen/Colonial Amnesia' Meryem Choukri, Jan Kawlath and Millicent Adjei. This program was live transmitted the 10th of April and is the second in the seria 'Staying with the trouble's of privileges in common spaces' by the Bridge Radio. In this program we will talk about some of the stereotypes against migrant women subjected to violence in Denmark. Our two guests Laila Vetterlain and Therese Christensen are working for equality for migrant women in the women crisis center Danner and are involved in the new initiative MOVE (Migration Obstacles Violence Equality). We will listen to testemonies of violence in the communities to have a talk about strategies to break violence structures. On this program, The Bridge Radio will be focusing on working together in political activism groups, with very different positions and privileges given to individuals by the nation state. This program will try to focus on ways to heal, dismantles, dissolve and decolonise privileges, white supremacy, racism and discrimination in activism spaces. The Ignorance and privilege of nations states aims to destabilize and strikes everywhere in our society today, which has everything to do with a dominant colonial culture. This colonial culture even appears in groups that aim to work in anti-fascist and anti-racists. This program intended to articulate, discuss and find ways to navigate around this privileges and working together. Decolonising racism, fascism and discrimination is an everyday practice - you do not break it once, but it is a process of an everyday life, because we have grown up in a racist, discriminative society structures that intends to divide us. So how can we attempt to navigate privilege? How do we work together in subversive ways? How do we break existing power structures? In this program seria, where the Bridge Radio will be guesting FSK, you will be hearing reflections on challenges of working together from many people from migrants and women’s political groups and space, were this colonial mindset is often very present. This program is the 3rd in the program seria 'Staying with the trouble's of privileges in common spaces' where we discuss problematics and strategies in working together across privilege in activist and social groups. In this program we invited Julia Suárez-Krabbe to discuss decolonial strategies of working together across privilege. Julia Suárez-Krabbe is lecture at Roskilde University and has written the book; ‘Race, Rights and Rebels; Alternatives to Human Rights and Development from the Global South'. She is also part of the Freedom of Movements in Copenhagen who have supported self-organized migrant struggles in Denmark. In this 4th program in the seria 'Staying with the trouble's of privileges in common spaces' by the bridge radio, we will be focusing on intersectionality and how to develop intersectional practices in groups that work together across privilege. We will be talking about how and why intersectionality is important to think at the core of how we think and organize our social struggles. Our guest with us is writer, educater and activist Lesley-Ann Brown who was one of the organiser of women’s march in 2017 in Copenhagen. She will soon be coming out with ther book 'Decolonial Daughter: Letters from a Black Woman to her European Son'. We interviewed Lesley Anna brown on her experience and opinion on the topic of intersectionality and working together in activism spaces. We will be talking about decolonisation, reproduction of discrimination and self healing in activist spaces. You will also be hearing clips from Professor Kimberle Crenshaw who coined the term intersectionality and songs by Brenda fassie, Turiya Alice Coltrane, Miriam Makeba, Asa and Gil Scott-Heron. The Bridge Radio is opening our new studio space in Copenhagen North West to start building a stronger community around the radio. And in this program we are talking to different groups about how they create community within their groups and with their creative partners and allies. The poetry collective "Say it loud" share their experiences with collectiveness in relation to poetry and the necessity to have a creative space for women of colour. Women Refugee Route will share their work with advocacy in the European Union and the UN and how to work together as a community across borders. Rejected Asyluum Seekers Contact Person Network will elaborate on the work they do, and creating community across privilige to work for a common goal. Turning Tables will share their knowledge on building up local communities around the asyluum centers using creative writing, music and DJ'ing to connect people. Children and their families have been placed at Sjælsmark prison camp. At this time there is around 38-52 children staying in the prison camp, whereby some have been living there up to 10 months with a no end perspective of how long time they will stay there - in principal this could be infinite. Staying under the conditions of Sjælsmark and adding to it that many children and their families having been moved around between different camps many times - are all conditions that creates anxiety, stress and worries among the children. All of this highly damaging the well-being of the children. The Sjælsmark camp is being run by Kriminal Forsorgenet and the primary staff are people trained as prison guards. In the center you are not allowed to cook and have to eat in the cafeteria 3 times a day. Families do not receive any financial support and are not allowed to take any work, which pratically makes it impossible for many to move out of the center, cutting of the children's ability to have any social life outside the camp. In the program we will talk about the movement of refugee families and their children for a future beyond the Camp and the coming demonstration the 16th of December by Folkebevægelsen for Asylbørns Fremtid. This is the first time The Bridge Radio performs a radio drama, this in collaboration with artist Fikret Atay. The play is a translation of a theater play that the turkish writer Aziz Nezim wrote, who writes political and absurd theater. The play is set around a situation with a fugitive on the run, a policeman who is suppose to be looking for him, and a citizen who is searching for the fugitive in order to get the reward that is put on his head. What you will hear is a interpretation by The Bridge Radio, Fikret Atay and our friends in Stockholm. The Bridge Radio covered the launch of 'After Deportation: Ethnographic Perspectives' Edited by Shahram Khosravi Friday 1 December. Listen in for the launch of Shahram Khosravi’s new book After Deportation: Ethnographic Perspectives, focusing on what happens to migrants and failed asylum seekers after deportation. What are the consequences of forced removal? What dangers and challenges do they encounter following ‘removal’? And what forms of life do they create in countries to which they are sent? Shahram Khosravi will introduce his new book, followed by responses to his research from The Bridge Radio and Ung i Sverige. Shahram Khosravi is Professor at Stockholm University and Uppsala University. He has written the books, Young and Defiant in Tehran, University of Pennsylvania Press (2008); The Illegal Traveler: An Auto-Ethnography of Borders, Palgrave (2010); and Precarious Lives: Waiting and Hope in Iran, University of Pennsylvania Press (2017). # 28 - Deportation Resistance. The Bridge Radio was live from Stockholm where we have dedicated the program to our friends who have been rejected and are facing deportation. We are broadcasting interviews with young Afghan people in Sweden that have been organizing protest against deportation in Stockholm in peaceful sit-protest in different public squares of Stockholm. “Ung i Sverige” Young in Sweden” is a group of young activists that started organizing this summer in Stockholm. The 6th of August a group of about fifty young people gathered at Mynttorget in central Stockholm in Sweden to occupy the square in the heart of Stockholm. In a sit-down protest that lasted for almost two months and have moved through Stockholm to different public squares during this period. The group consists mainly of young people arriving in Sweden in 2015. The organizing started after a group of their friends were detained and deported back to Afghanistan this summer. The group call for an end to deportations to especially Afghanistan. As I said the peaceful sit-down and occupation has taken place for months - but now they are also looking into other forms of resistance. We will share ideas for protesting deportation. The Bridge Radio will hosted a LIVE-session on Roskilde Festival 2017. We talked about the working conditions for people collecting bottles at Roskilde Festival. This year the Festival tried to use a cash-less system on the Festival. This has created a lot of trouble for people collecting bottles because the electronic cards given to bottle collectors didn't work the first couple of days. It is a financial infra structure at the festival that only allows people with danish CPR-number and credit cards to buy food, drinks and other necessities. Some people therefore were not able to eat for the first two days. A lot of people also lost the money from collecting bottles the first couple of days, because the card did not work. Some are still waiting to know if they will get the money for their hard work on the Festival. How can we use art as a form of political expression? In this Friday session with your host Ivan we will have an interview with two young dancers who has just been granted asylum, Barly and Rash. They will share there experience as professional dancers and political activists in Congo. We will also be joined by acitivst Leila. In the show we talk about the situation in Congo, how to use dance as a political tool, waiting time and how to stay strong in the camp. The prejudice and discrimination lesbian, gay, bisexual and transgendered regularly experience have been shown to have negative psychological effects. Our Friday program is designed to provide accurate information for those who want to better understand sexual orientation and the effect of prejudice and discrimination on LGBT People and how to stop it. The Bridge Radio provides a safe place for everyone, no matter what race or gender, we are all the same. Everyone is invited. For this Friday Session we our communicating for those who can not reach out to those they love. It can be your Mother your Father your Sibling, a special friend, your old love, or a whole community that your are missing. People that you can not reach becourse of the distance and the borders between you. Let The Bridge Radio cross the borders and the distance for you. The Radio waves still owns the Freedom of Movement. You can dedicate a song and send a message! Contact us before the show! tlf: 60 61 69 68. We will listen to a lecture by Abimbola Odugbesan from the organization Lampedusa-Hamborg , who will share his many years of experience with selves-organizing, and have an discussion about some of the issues he is raising. Sofia and Yannick from the magazine Marronage working with issues of colonization and racism. Tone from Trampoline House and CAMP (Center for Art on Migration Politics) and the campain to close down the deportation prison. DJ Hazelsoja will be playing music for you! This Friday program will be a special edition with focus on "Deportation Resistance". We are gonna listen to an interview with activist in England that recently manage to stop a deportation plane just before departure. And we will listen to a representative from the newly started danish protest group, "No Deportation without Resistance"
We have found empowering protest tunes ready for you! 15.00 - Migration & Politics: Migration and racism in a historical perspective hosted by Ivan with guest from the Magazine Marronage. the Iranian classical- guitar player Mo followed by Trampoline House Choir. We are very exited to have a visit of the poet Reem Zakzouk, a stateless palestinian women currently based in Sweeden. In the occasion of Zakzouk's works recently publishing in the magazine visavis: www.visavis.dk, Zakzouk will read these poems aloud follow by a conversation around the work. Then artist and DJ Hazelsorja will host a music session of us. From 15.30 William and Nice will host the program 'Migration & Politics' with the topic: 'After Asylum'. We will investigate the conditions and procesduces for the people who have been granted asylum in Denmark. What are the rights you gain from this legal status, and how are they experience? It has to do with giving hopes to all Asylum Seekers who are going through challenging situations in the various Asylum camps across Denmark. We will air the voice of Asylum Seekers and their experiences in the camps. Our GUESTS today will be two musicians: the first one radio-crew-member Hazelsoja and Paul Banks (paulbanks.dk) who will perform together! #18 - Live Radio from CAMP exhibition opening: "We shout and shout, but no one listens: Art from conflict zones"
"Taking its starting point in a number of contemporary and recent conflicts that have been ignored by the international community, the exhibition presents installation, photography, painting, readymade, collage, and performance works that examine war from the perspective of those trapped in or fleeing zones of conflict." In the program we will meet some of the people behind the exhibition, hear presentations and reflections from the present artist and we will report from the public opening. The program will be hosted by one of the coming tour guides on the exhibition and members of the Bridge Radio, Dejene Daba. In this program we will have a live conversation with activists who took part in the struggle of self-organised migrants in Oranienplatz, Berlin. From October 2012 to April 2014 the group maintained a protest encampment in the Oranienplatz plaza in Kreuzberg, Berlin. The “OPlatz” movement was composed mostly of African asylum applicants, who had come from camps all over Germany in an act of civil disobedience against the Residenzpflicht. A law that requires asylum seekers to stay in specific areas while seeking asylum - limiting their freedom of movement. 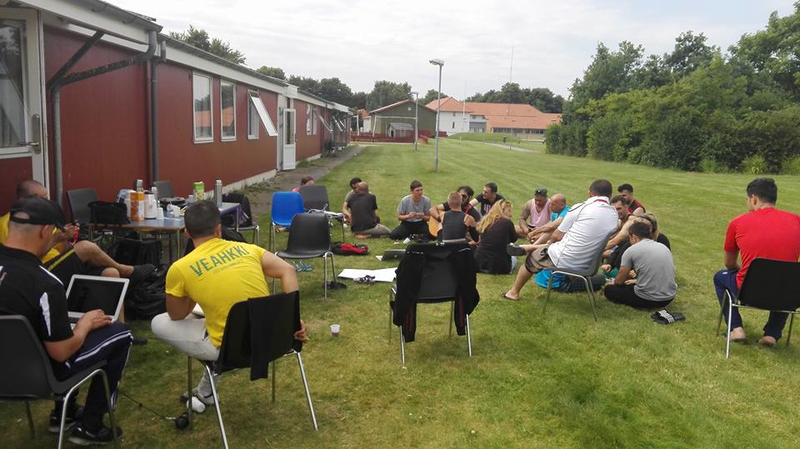 After the autonomous clearing of the camp in 2014 and in face of the rejection of most refugee applications, the group continues to remain active and raises awareness for their cause. We will talk to them about their world tour right now - a tour that will pass through Denmark the 9-11. th of march in Aalborg. "You are strong! Break the chain! Take away the patch and start talking! We are connecting displaced people, while taking away our fear and the fear from us. We are among the 65.3 million people around the world who have been forced from their homes. We actually do something to change our conditions! The movement of people can never be less FREE than the movement of products, services, money, and information, without causing exponential violence to people, while making walls separating between those movements higher, since walls are always to collapse. But it is not only the movement of the people, it is also the movement in time, it is the history which we now are making as we are this SIGNAL." This evening our guests will introduced different protest songs and their stories, from areas such as Ethiopia and Afghanistan among others. We will have a visit from a newly filmproducer group, working on giving danish asylum seekers the posibility to represent and document the situations in the asylum camps. At last, our new radio DJ-Lawda will entertain us with his delightful Middle Eastern psychedelic tunes! In this radio broadcast you will hear protest music and tunes. We have invited guests in the studio to share songs that have been important in a movement or political struggle. They will explain about the story and the role of this music pieces. There will be presented examples from Ethiopia, Denmark, Iran & Afghanistan among others. Every Friday from now on you can tune in on Bridge Radio to listen to the program MUSIC, POETRY AND UNITY from 5 pm. !! This is our first live sending from our new mobile studie - the radio-wagon placed next to Trampoline House. WORK AND PRECARITY: How can we be strong together? The Bridge Radio is inviting for a talk about precarious work from a migration perspective. How can we use work as a way of organizing and creating alliances? How have migrant workers have been organizing around the world? Migrants without documents, with a permit to work or who are in the asylum system are often working under vulnerable and structural difficult conditions. The workspaces will change the conditions all the time, such as making people work and not paying for it. It can be difficult to speak up about this and organize for better conditions. The increased instrumentalization, normalisation and use of detention and deportation of migrants is part of creating a constantly deportable part of the population, who can be exploited as cheap labour. Starting from the experience of people who have been in various precarious work situations, we want to talk about how to organize and be strong together. #13 - BLACK LIVES MATTER: African Homeless, State Racisme and Police Violence. Wednesday the 5th of october 20-30 of the bottle collectors in Folkets Park were arrested by the police and taken to detention. Only people with black skin colour was arrested and forced by the police to pay fines of 750 kr. for public disorder because they were sleeping in the park. According to the bottle collectors the police took all the money they had on them. The Bridge Radio are broadcasting life from Folkets Hus just next to the park and have invited some of the bottle collectors to discuss the issue. At least one of the bottle collectors was send back to Madrid by the police and the immigration authorities. Some are still in prison close to Sandholm Lejren. Black Lives Matter Denmark will guest the program and share the latest update on the cases. Please join us for the program or the support party later at Folkets Hus, where the money will be used for reparations for the fines, as 750 kroner is too much money for a bottle collector. #12 - The Bridge Radio: Live From "In The Same Boat Symposium"
September 22.9.16, at 16:00, we will broadcast live from Borups Højskole, where Crossing Borders are having the event "In The Same Boat Symposium". The overall aim of this event is to contribute to a better understanding of the refugee crisis through the eyes of exiled journalists and international experts. We believe that enabling exiled media workers to share their stories and the stories of the refugees, which they are part of, will help build bridges with the Danish public. Sunday the 31st of July at 4 pm the Bridge Radio will send the last live program on our summer radio tour - this time from Næstved. This last program will be about expression; artistic expression, poetic expression and political expression, expression through leaked videos of violence in the camp, through poetry or through social media and alternative platforms, expression through painting and weaving in small rooms in the barracks of the Næstved camp. Artists and dancers currently forced to live in the Næstved camp will discuss their practice with us. We will listen and discuss poetry by Ahmad Shamlou and Athena Farrokhzad. We will talk with different people with experience of living in asylum camps and discuss how social media can become a platform from which discussions and documentation can happen that can change the racist-dehumanizing structure asylum seekers are forced into within the asylum system. 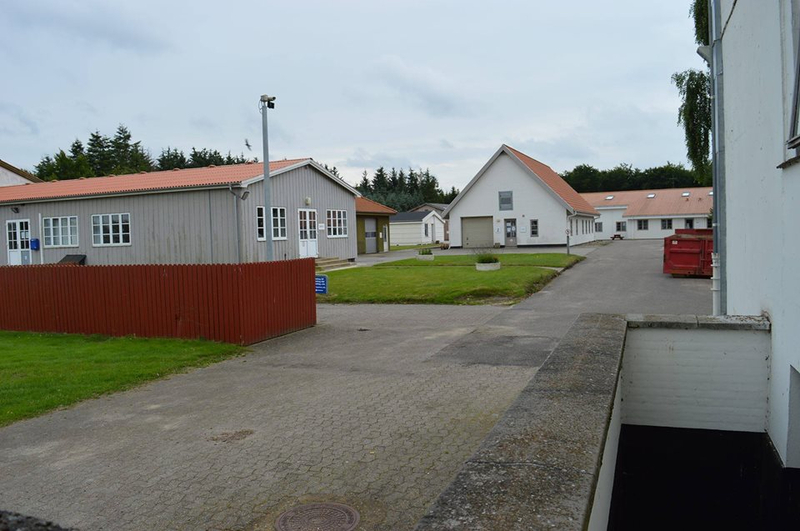 The tent camp was opened in early 2016 along with three others (Thisted, Haderslev, Herning) as a direct outcome of the government’s new ‘tightenings’ of the immigration law. From the beginning the idea was to make the conditions for asylum seekers to unbearable that they would appear unattractive for potential asylum seekers in zones of war and conflict. The camp has a capacity of 600 people and right now 350-400 people live in the yellow tents formerly used by the danish military in Iraq and Afghanistan while awaiting the processing of their applications of asylum in Denmark. This process have no established time limit. The camp is driven by Beredskabsstyrelsen Sjælland and Langeland Kommune. They have employed the private security company Securia Vagt ApS to ‘assure the safety’ in the camp. In May a video of the camp leader leck locking an asylum seeker was recorded by an asylum seeker and leaked by Information. The administration of the camp had used collective punishment, threats and physical power. The case lead to the camp leader losing his job, partly because it was publicly known that he had a criminal record for violence against children during his former job in a public institution. Today a new camp leader has been employed but the overall structures of fear in the camp have not been addressed by the authorities. The Kærshovedgård Deportation Camp was opened in the spring of 2016. Since then, rejected asylum seekers from all over Denmark have started beeing sent to the camp 30 from Ikast. Before, the camp was an open prison - now, the restrictions have been increased and the people doesn't know when they can go out. They are rejected - but they cannot go back to their contries. A. For the purposes of the present Convention, the term “refugee” shall apply to any person who: (2) As a result of events occurring before 1 January 1951 and owing to well-founded fear of being persecuted for reasons of race, religion, nationality, membership of a particular social group or political opinion, is outside the country of his nationality and is unable or, owing to such fear,is unwilling to avail himself of the protection of that country; or who, not having a nationality and being outside the country of his former habitual residence as a result of such events, is unable or, owing to such fear, is unwilling to return to it. 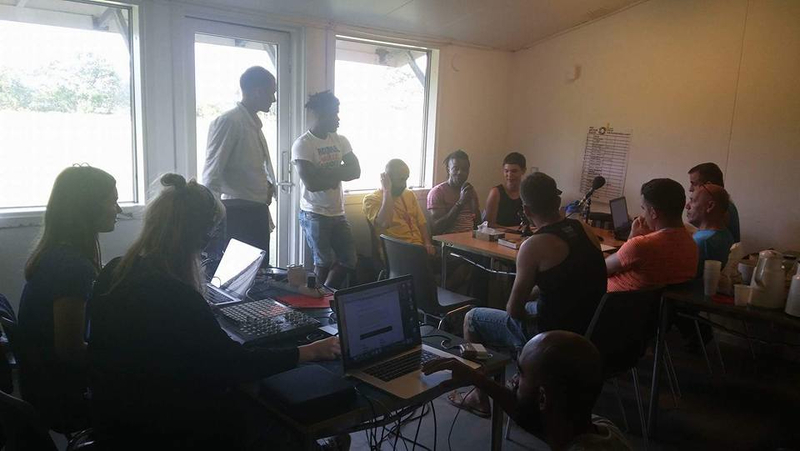 The Bridge Radio is on Summer Radio Tour and our second visit was in the Tent Camp in Thisted where we made a program together with people living in the camp. In the first part of the program we talked about the guests backgrounds in struggles of the minorities and political activism in Iran. 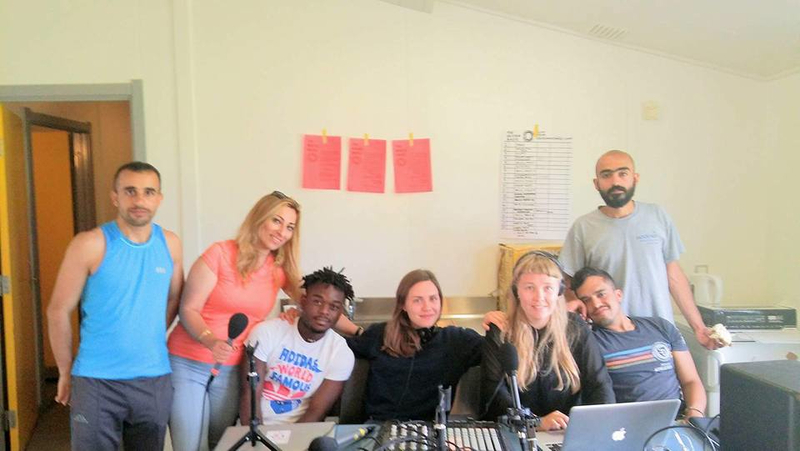 In second part you will hear an interview with Bino who has been part of the migrant struggle in Berlin, sound clips from the Castaway Souls of Sjælsmark organization and a reportage from Tranum Asylum Camp where one person has begun a hunger strike. We will talk about how to organize and stay political active in the camp. In the third part we introduce some relevant websites, hear poetry reading and Parisa will host a interview with a young person from the camp and another about missing one's family. In the last part Asrin Mesbah from Jura Rådgivning will answer questions from our guest. The program is in farsi and English. The Danish Refugee Council is the biggest NGO in Denmark. It is a private organisation funded by the Danish state. The organisation provides legal information about rights and offers free counselling on the procedures for case handling according to danish asylum praxises and rules. شورای مهاجران دانمارک بزرگترین سازمان غیر دولتی (NGO) در دانمارک است که بودجه اش توسط دولت دانمارک تهیه میشود. این سازمان اطلاعات قانونی درمورد حقوق مهاجران فراهم میکند و مشاوره ی رایگان درمورد روند بررسی پرونده ها مطابق با قوانین پناهندگی دانمارک ارائه میدهد. Asylret is an association of activists who offers juridical information and assistance for rejected asylum seekers in Denmark. As the group consists of very few people and is done on a volunteer basis and through activist practice it has limited resources of capacity to assist with cases. The association is independent from any party political or parliamentary opinion and decision making. Refugees.dk is a webpage providing written information about the situation of refugees in Denmark. The vantage point for the written material is based on refugee rights and respective human rights conventions. The webpage provides information on the asylum procedure in Denmark, hereunder the corresponding legislation and statistics, along with news articles adding a humanitarian aspect to the asylum debate in Denmark. وبسایتی است که اطلاعاتی مکتوب در مورد وضعیت پناهندگان در دانمارک ارائه میدهد. مواد مکتوب طبق عهد نامه های حقوق بشر و مهاجران است. این سایت اطلاعاتی در مورد روند بررسی پرونده ها, قوانین و آمار مربوطه را مهیا ساخته و با مقاله های نوین, سیمایی انسانی را به موضوع مهاجران در دانمارک اضافه میکند. CampLeaks is a new online platform and network of people created to document and share evidence of the conditions within the danish asylum centres and camps. The facebook page is used as a tool to distribute awareness about the conditions in these spaces as a means to create more awareness of human rights violations occurring within the camps. وضعیت موجود و نقض حقوق بشر در کمپ های پناهندگان. Ny i danmark is an immigration service portal through which explanations of danish asylum procedures can be found. The information is in English and Danish. It gives a better idea of asylum rules in Denmark which can be a good place to start as Udlændingeloven can be quite hard to understand. The Bridge Radio is on Summer Tour and the first visit is in the Asylum Camp in Brovst where we will make a live radio program together. The Program will be about 'Speaking Up' - what are the rights of people living in the asylum camps to speak up about conditions they experience, why are some affraid of speaking up, how have people experienced the outcome of speaking up and how can we create our own platforms for speaking up? - It is about rights and having a voice! In the program there will be stories from the Brovst asylum camp, music, advices and talks about speaking up. The program is partly in English, Farsi and Danish. رادیو پل در سفر تابستانی قرار دارد و در اولین بازدید اش از اردوگاه پناهندگی بوغوست، یک برنامه رادیویی زنده را آنجا اجرا میکند. این برنامه در مورد چگونگی حقوق مردم در اردوگاه ها، نحوه زندگی پناهندگی، شرایط و به تجارب آنان می پردازد. ما در این برنامه به گفتگو می پردازیم، اینکه مردم در اردوگاههای پناهندگی چگونه زندگی میکنند و چه تجاریی از زندگی در این اردوگاه ها دارند، چرا تعدادی از صبحت نمودن می ترسند و چه رویکردی میشود برای بلند کردن صدای خودشان ایجاد کنند. همه چیز در مورد حقوق و چگونگی همرسانی صدایشان است. این برنامه در کل قصه های از اردوگاه پناهندگی ، موسیقی، مشاوره و گفتگو با پناهندگان را دربر میگیرد. #7 - Are human rights being violated in Denmark's new asylum institutions? The 29th of May, Trampoline House and CAMP (Center for Art on Migration Politics) invite the public to debate this question together with residents from Næstved Tent Camp, Sjælsmark deportation Camp, from Deportation Center Kærshovedgård, from Testimony from Vridsløselille State Prison together with with Eva Smith (Dr. Jur. ), Anne Lise Marstrand-Jørgensen (writer and Venligboer), Louise Holck (Vice Director, Danish Institute for Human Rights) and Michala Clante Bendixen (Chairwoman, Refugees Welcome). The reason for the debate meeting is Denmark's new tent camps, deportation centers, and closed prisons for detained asylum seekers. The tent camps have been erected to accommodate newly arrived asylum seekers, even though several well-functioning asylum centers are vacant and being shut down. The deporation centers accommodate rejected asylum seekers, who do not cooperate on their repatriation, without pocket money and activities. In the closed prisons, undocumented migrants and asylum seekers are detained without a trial. According to the Danish government, the new institutions are intended to intimidate rejected asylum seekers to leave Denmark voluntarily and to reduce the number of new asylum seekers arriving in Denmark. The strategy has been presented as a necessary and lawful political tool. But where is the dividing line between measures of intimidation and human rights violation? Are Denmark's new asylum institutions in violation of international conventions? 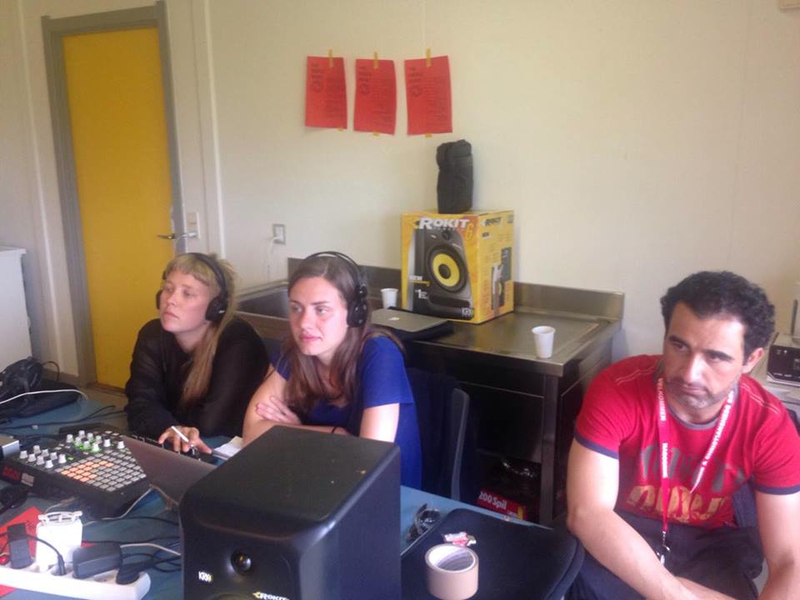 Tuesday the 10th of May, the Bridge are broadcasting live from Sjælsmark Deportation Camp in Nordsjælland. The deportation camp is a fairly new construction in the Danish Asylum system and it bares similarities to the prison: the fences, the timetables, the food. But in the deportation camps, the rejected asylum seekers have neither commited a crime nor been sentences to a cerain amount of time. The deportation camps are filled with non-criminal people who can potentially be locked away eternally (or untill the laws change). Today we join up with the Castaway souls of Sjælsmark/Denmmark and talk about these camps. How have they come to exist juridically, how is it experienced to live there and, importantly, how is resistance possible from within such a space? Listen with us live at 7 pm. Sounds and speeches from Castaway Souls of Sjælsmarks demonstration the 27th of April 'For the Right to have Rights - Refugees out of Prison Camps'. In Solidarity with the struggle of the Castaway Souls of Sjælsmark who forcefully are being evicted and moved to the prison camp, Kærshovedgård, in Ikast. The voices and sounds from Trampoline House Womens club will on air. For the 4th Live Radio program, the Bridge Radio will visit Trampoline House Women's Club. The people from the club will explain about the space and the importance of their space. The 3rd live session of the Bridge Radio will take place in Trampoline House and will be about Music, Poetry and Unity! Bridge Radio will meet in small class-room in Trampoline House tomorrow evening, where several guests will join us to talk about a piece of music or poetry or both - and how it can unite people in different ways. You are welcome to come and be our guest too! See you tomorrow or tune in around 8pm. Next live show will be 17th of March 4pm at Charlottenborg exhibition space. Listen online or come and see the live show at the place. The Bridge and the documentation-collective Borderspace(s) will make a live-radio session about borders and sounds from the border as part of the sound festival Pulsar. In the live-radio session we will sample sound recordings from border spaces recorded by the two groups with talk radio and readings of texts related to borders and border spaces. We will ask questions about borders; How does a borders sound? How are borders experienced? How are borders enacted? How did you experience different borders; the EU-external borders; the external borders of a nation-state; the borders in the city and the borders of everyday life and experience? You can either join the live-session at Charlottenborg or listen throught our webpage. In this first live-show of the Bridge Radio from the 3. of March 2016 we discuss the idea of Freedom of Movements though conversation both with people who investigate the theme and people, who organize around it. As guest in the program we have Julia Suárez-Krabbe lector at Roskilde University and activist in the Copenhagen-based organization Freedom of Movements, Jose Acre activist in Freedom of Movements and Steve Ross from the self-organised struggle of the people in the deportation camp Sjælsmark outside of Copenhagen. Further you will hear a small sound piece about freedom movement from the international conference for migrants and refugees taking place in 2016 in Hamborg organized by the activist group Lampedusa Hamborg.